ETyreStore Townsville - Welcome To The Revolution in Townsville! ETyreStore Townsville has both In-Store and Mobile Fitting and Balancing Facilities. Our In-Store Fitting Facilities are available without the need to Book In and we can fit your new tyres for only $15.00 each while you wait. Mobile fitting and balancing is available for the average cost of $25.00 per tyre, and we service anywhere upto 100 kilometres of Townsville CBD. 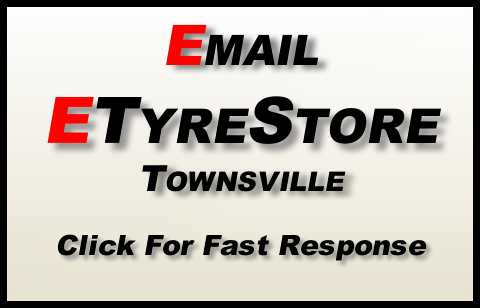 ETyreStore Townsville is the Easiest and Most Cost Effective Way to buy tyres ever created for a number of reasons, ETyreStore deals directly with tyre factories, this is the main reason why our tyre prices are so low. When you buy tyres from a tyre retailer, the tyres will have been bought and sold a number of times before they get to you - the end user.